The law office of Timothy J. Van Der Veen, Esq. 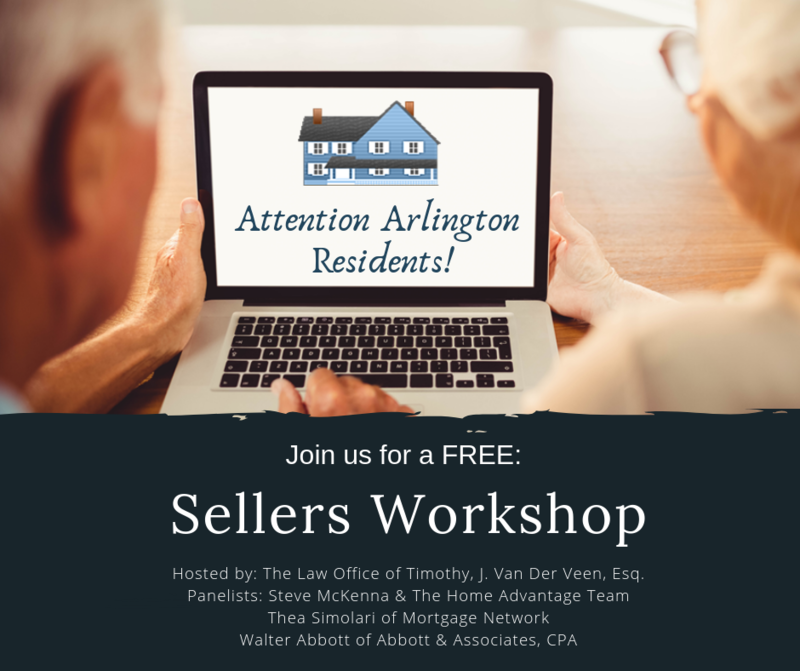 will conduct a workshop for Arlington residents who are considering the transfer or sale of their property in the next 12 months. The workshop will be held at the Robbins Library and is geared towards owners who haven’t sold in at least 10 years. The event will cover recent changes in the law and other trends affecting local real estate transactions in the past year. Flood insurance: Are you impacted by recent changes in the flood maps? The workshop will be held at the Robbins Library, 700 Massachusetts Ave., Arlington, MA 02476 on Monday, February 25th, 2019 from 6:30 p.m. -8:00 p.m. The workshop is FREE for all Arlington residents. However, space is limited and registration is mandatory. We hope to see you there! Please email: Christina@timvanderveenlaw.com or call 781-829-2003.